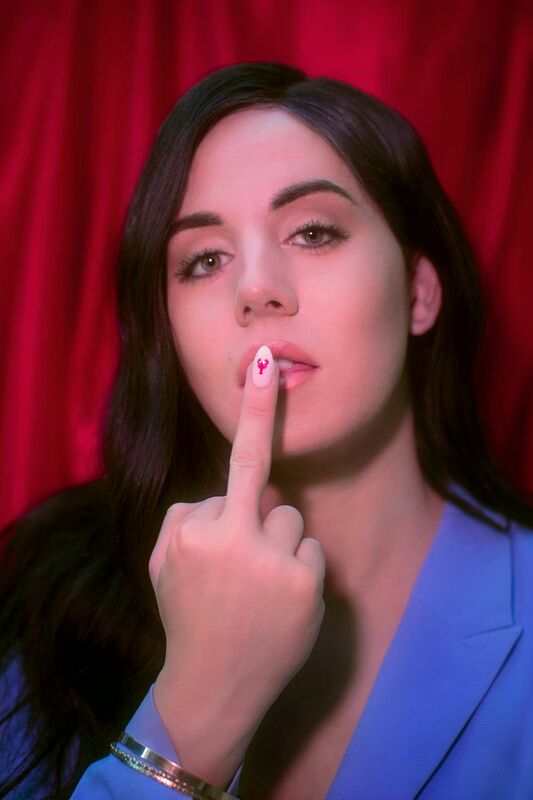 Charlie Craggs, a 25-year-old trans activist and author of To My Trans Sisters, an anthology of letters by trans women, has been traveling around the UK for the last five years with a pop-up nail salon to spread trans awareness. Popping up at museums, universities and festivals, Craggs offers free public manicures to bystanders in exchange for the chance to sit down and have a chat with a trans person. Craggs says that she realized early on in her transition that most people had never met a trans person and usually had negative misconceptions about them. And thus, the Nail Transphobia project was born, offering people the opportunity to get a free manicure while having a chat with a trans person. It was her hope that this exchange would give people a chance to understand trans folks better. Craggs found that nails were a great catalyst for a deeper conversation, and decided she wanted to take the conversation around trans issues one step further. 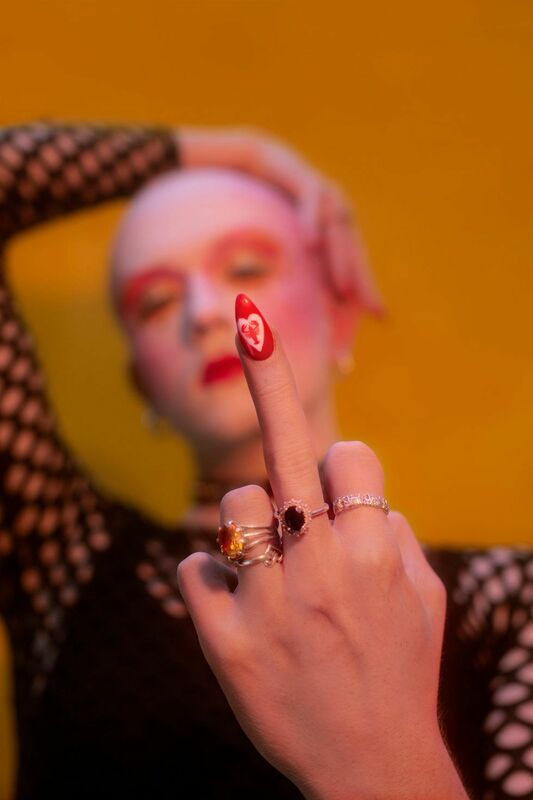 In July 2018 in collaboration with Revolt, a creative consultancy that focuses on doing good, Craggs launched Nail It, a new nail decal brand that raises awareness and funds for specific trans issues (all profits made go to Nail Transphobia). Each set of decals is designed around a trans issue, in hopes that it will spark conversation and increase trans visibility. The first set of decals contains images of lobsters. Why lobsters? For the last two years, the transgender flag has been the most requested flag emoji, yet instead emojis including snow sleds, cans of tomato soup and lobsters have been given priority. However, Craggs saw some inspiration in the icon of the lobster, since the crustacean is a gynandromorph—an organism capable of having both male and female characteristics. So until trans people get their flag, activists are hijacking the lobster as the "unofficial, official trans symbol." While Nail It petitions Unicode (the company responsible for emojis), the brand is also continuing to feature products with lobster symbols and is launching the #ClawsOutForTrans hashtag campaign. PAPER spoke with Craggs about her advocacy work, her new nail decal brand, and why the lobster emoji is going viral. What inspired you to start Nail Transphobia? I started Nail Transphobia as I began transitioning back in 2013, quite simply because of the amount of transphobia I was facing. I knew transitioning wouldn't be easy, but I wasn't prepared for how hard it would be. I was scared to leave my house and would say a prayer before I'd go out every day in the early days of my transition, because that's how much abuse I was receiving. I remember the first time I was attacked, it was at a packed bus stop, and not a single person at that bus stop blinked an eyelid. Nobody intervened or tried to help me, nobody asked the men to leave me alone or called the police, and nobody even asked me if I was okay or helped me after the attack. In that moment I recognized how important allies were. Nail Transphobia is all about making allies, and the goal is that people leave my salon with more than just a manicure — they leave an ally. What have been the highlights of doing this project over the past five years? How do you hope to grow it in the future? Releasing my first book, To My Trans Sisters, has definitely been my biggest highlight, partly because I feel hella fancy getting to call myself an author but mostly because of the touching emails I get from trans girls and women all across the world saying how much it's helped them. That was my mission when writing the book, so it's really really nice to know I've achieved that. In terms of what I see in the future, I just went stateside with the campaign. I was invited to bring Nail Transphobia to NYC Pride which was really exciting and really important, because obviously transphobia doesn't just exist in the UK. This is a conversation we need to be having worldwide. I hope the international bookings continue so I can take this conversation even further. When did you decide you wanted to take it one step further and launch Nail It? How did the idea for the brand come about? What has your process been for launching the brand? What's your experience been working with a company like Revolt? It's been great, I feel very lucky that Revolt wanted to work with me, as a council estate trans girl with limited funds and resources it would be hard to do all this on my own. This is a problem a lot of activists have, I'm just one of the lucky ones. Why did you choose to put the lobster on the first set of decals? Why are trans activists reclaiming the lobster emoji? The transgender flag is one of the most requested emojis — it is the MOST requested flag emoji. And it's been rejected by Unicode (the emoji decision panel) for the last three years, despite a number of proposals. Yet we will now have access to a lobster emoji, because people suffered 'frustration and confusion' at having to use a shrimp or a crab emoji instead. Surely representation for the trans community is more important than a crustacean? Hijacking the lobster emoji might seem like an odd choice but lobsters can actually be gynandromorphs (an organism that contains both male and female characteristics). So we're going to take it as our symbol, until we get the trans emoji we deserve. Can you tell us more about the #ClawsOutForTrans campaign? Why are you petitioning Unicode right now? Social media plays such an important role for people in the trans community to connect and such a small thing can mean the world to a trans person who has little or no access to their community outside the internet. We started #ClawsOutForTrans as a campaign to hijack the lobster emoji until we get our trans flag emoji. We're petitioning Unicode to get the trans flag emoji included in the next update so that we can get representation for the community. Emojis are a way for the world to connect and trans people shouldn't be left out of the conversation. What do you hope people will feel when wearing these nail decals? I don't hope they'll feel fabulous, I know they'll feel fabulous. There's nothing more fabulous than doing good while you look good. The decals raise awareness and funds for specific trans issues and are also super cute, like, what's more fabulous than that? What other trans issues are you hoping to address through Nail It moving forward? At the moment, we're focussed on #ClawsOutForTrans as our first fight for greater representation for the trans community. But you can be sure we'll be taking on more fights in the future so keep an eye on our website (www.nailit.co) and social channels (@nailitofficial) for the latest on our campaigns. Add your voice to the petition here.